US officials, albeit ones speaking under the cover of anonymity, are accusing the Russian military of participating in a cyber attack on the 2018 Winter Olympic Games in Pyeongchang, South Korea, and then attempting to blame it on North Korea, the Washington Post reported. Russian military spies hacked several hundred computers used by authorities at the 2018 Winter Olympic Games in South Korea, according to U.S. intelligence. They did so while trying to make it appear as though the intrusion was conducted by North Korea, what is known as a “false-flag” operation, said two U.S. officials who spoke on the condition of anonymity to discuss a sensitive matter. According to the Post, officials described reports indicating Russia’s military intelligence agency, the GRU, “had access to as many as 300 Olympic-related computers” in early February as well as infected South Korean routers with malware, a potentially pricey endeavor. The Post also noted the GRU is widely believed to be behind a 2016 breach of Olympian medical records, a form of “payback after nearly every member of Russia’s track and field team was banned” from the games that year. The attack resulted in some disruption to the Games, including loss of internet access and disruptions to broadcast systems and ticketing services, though it ultimately amounted to little more than temporary inconvenience. It’s not clear why the Russians would try to pin the blame on North Koreans other than using them as a convenient fall guy. President Donald Trump has accused the Russian government of softballing its approach to sanctions enforcement on Kim Jong Un’s government, and in December, CNN reported Russia is trying to exert slightly more influence there after 25 years of mostly ignoring North Korea. The International Olympic Committee could soon decide whether to let Russian athletes compete in future games under the country’s flag again, but as Vox noted, there’s a small chance that the hacking incident could backfire. 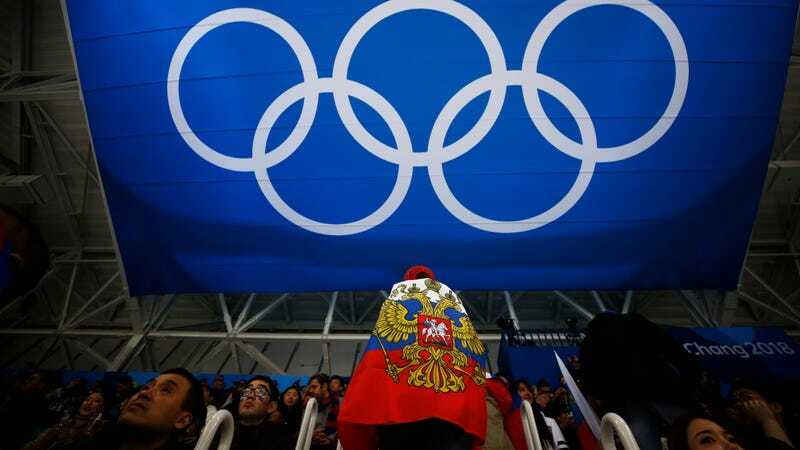 A number of Russian athletes were caught doping despite the ban, and the IOC voted unanimously on Sunday to uphold the prohibition on official Russian colors or flags during the closing ceremonies. However, the IOC also noted that the country’s future at the Olympics will depend on whether it determines the Russian government had any role in doping athletes in Pyeongchang.